ING: Do You Know Your Number? If you have read this website with any regularity, you will know that I am a freak about having a plan. I want a plan for anything related to my finances. One thing that I teach during my events (Financial Learning Experience and Financial Freedom Experience) is the importance of calculating how much money you need to retire. 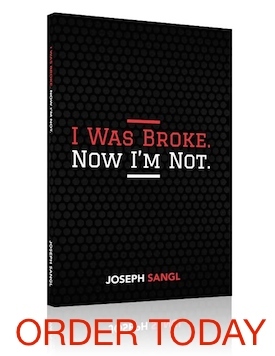 It is also taught in my book, I Was Broke. Now I’m Not. It is SO IMPORTANT to know how much money is needed to retire well. So I went to the website and calculated my number. The result? I am ready to roll for retirement! Of course, I already knew that fact but I am a sucker for new and different ways to determine my family’s preparedness for retirement. So here is the CHALLENGE to everyone today. Take five minutes and calculate Your Number at INGYourNumber.com and then calculate your number using the JosephSangl.com “Retirement Nest-Egg Required Calculator”. Are YOU going to be able to retire well? TOOLS: How Much To Invest Each Month?